Here’s where to stay in Trulli, the unique conical structures found around Alberobello, Italy. The trulli zone of Alberobello is a UNESCO World Heritage site and a fascinating place to visit. For more about trulli (singular trullo) and Alberobello, see Alberobello Trulli Pictures. The location of the trulli valley around Alberobello is shaded on our Puglia Map. By clicking on a link, you’ll be taken to the hotel page on TripAdvisor where you can find the best price for your dates and book your stay. 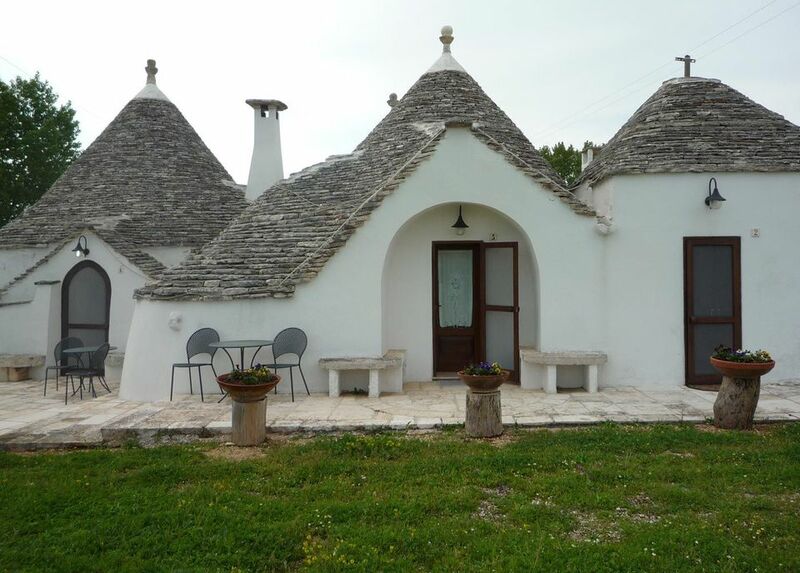 Note: Trulli have been modernized but are generally fairly small inside so don’t expect spacious living quarters. Grand Hotel La Chiusa di Chietri is about 4 km outside Alberobello. It’s a large hotel with beautiful grounds, swimming pool, and a trulli village where you can stay in a trullo (be sure to book a trullo as the hotel itself has regular rooms). The hotel has a restaurant and parking lot. I stayed in one of the trulli and it was nicely restored and quiet.